Visit iGBAffiliate.com for more details about getting the magazine featuring many more articles. About: tipsandpicks.com is a website that focuses on betting tips and providing picks for sports like NFL, NCAA football, tennis, MLB and AFL. Although the site uses a simple template and has a decent structure, the first impression on the homepage is a scattered one and it might throw off many users especially ones that are looking for pics on any sport. There is a basketball in the logo yet basketball or NBA picks don’t seem to be covered. There is Al Pacino from the movie Scarface there which although it is a badass character in an iconic movie, it might be a little distracting for what the user is searching for. There is a lot of blank space all over the site which for most sportsbetting related sites, most of them tend to be busier and the recommendations would be to have a busier look with more information for your visitors or focus on one major call to action. The homepage could be improved from a conversion perspective as there are no major calls to action above the fold and there is also a lot of empty space not being utilised. As mentioned in the overall impression, the distracting elements are the basketball as is it one sport you don’t seem to have covered and might turn off your NFL fans for example, Al Pacino and the menu options are not optimized either. Regarding menus, most users read left to right and the items on the far left will on average get more clicks than the ones on the right. So organize your menu with this in mind and be wary of the users on your site and what information they want to do, and what they don’t want to see. Since you cover North American sports heavily the assumption is your users will be from these locations yet you have Asian Sportsbooks and Betting from India in your secondary menu. This might tell your users they are on the wrong website. If you want to rank for these phrases that is one thing but don’t do it at the expense of your core audience. More conversion elements you are missing on the homepage include any sportsbooks to select from or even a single sportsbook to bet on. With a topic like betting tips this is a good opportunity to retain your users and collect their email address. Your benefit to them is to provide them with up to date bonuses, promotions and the latest tips and picks. Another option would be to provide a table of your latest picks which would summarize some of your top rated picks and perhaps make it easier for the user to digest the information and make a decision. What would look good in the table would the date, the pick or sports event, an icon showing the sports to make scanning a bit easier, a link to your pick if you have a detailed post about it and perhaps one sportsbook you recommend to bet on. Your twitter feed is the closest thing you have to this which is great because it is providing updated content on the homepage but more can be done for converting your users and also ensuring that they don’t leave as quickly. Converting your users should help reduce your bounce rate. On this page you could have more calls to action to try to convert your users towards signing up at a sportsbook. You have links to various sportsbooks listing the odds but perhaps this would be better organized into a small table. At least if you are going to present the odds this would be a good opportunity to place a banner near this information. At the middle and end of this page you could add a call to action button or a banner. SEO is always a great way to get free traffic but the affiliate business is becoming very competitive and you’ll want to make sure your site is fully optimized to get any edge you can. The homepage page title is “Home Of Quality Sports Picks and Spread Information”. This title looks natural so it is good but perhaps not fully optimized as your domain is tips and picks and I’d expect to see both of those keywords in the title. The page title here is just “Tennis” but that isn’t reflective of your content. Most of them are well written for your other pages on your site although the homepage description is short and could be longer, more descriptive. For both your page titles and descriptions in addition to having natural looking phrases and the right keywords inside of them, most people tend to not think much about copywriting, or rather sales writing. When users are in a search engine, the results page they get lists the page title, URL and description. Being number 1 will naturally get you the most traffic but being on the first page gives you a chance to getting more click throughs. If you have a strong compelling sales text then you might be able to increase the number of clicks your site receives for that ranking. Try to avoid any form of duplicate content on your site. Your homepage has summaries for sports like NFL, NCAAF, Football, Baseball, etc... and these summaries are about 2 sentences taken from the actual pages you have written. This is the lazy man’s approach towards populating a page with content so try to make your website to have more quality unique content. Otherwise your homepage doesn’t have much unique content on it aside from the short summary at the top. I could be wrong on my assumption and would be happy if you proved me wrong but I’m not sure I agree with the choice of domain and the topic both for SEO and from a conversion point of view. Niagara Casino is a land based casino in Niagara Falls, Canada and has 74,000 globaly monthly searches according to google keyword tool. There were no date for ‘niagara casino online’. So clearly there are a lot of people that go to this casino and are searching for it but you have to understand how the user is going to find your site and what they are expecting. As your site says you plan to offer information about the casinos, tourism, things to do in Niagara Falls and also list online casinos. So if this is the case I think your website would be better suited to call itself something like a guide for casinos & gambling in Niagara Falls and the online keyword in the domain would be better suited as guide. Just make sure you maintain a strong focus on the site and don’t try to throw half the information on the homepage about Niagara Falls and the other half about online casinos which is clearly how you intend to earn your income. At the moment your homepage is filled with about 75% content about online casinos and the rest about Niagara Falls itself. I would recommend you reverse this and try to get a better guide to the casinos, gambling and entertainment in Niagara Falls and use a more clever marketing approach towards turning these viewers into online gamblers. Some of your visitors might not have any interest in online gambling but you have a good selling point which is to teach them everything they need to know about Niagara Falls and everything they need to know about gambling, which of course they can learn how to gamble online before hitting the casinos. There are a few websites that focus on land based casinos as guides and have their own ways of converting the traffic especially for online gambling. One very good example of this is http:/ /vegasclick.com. Their casino ads are not so in your face but it is a great guide for Las Vegas casinos and gambling. 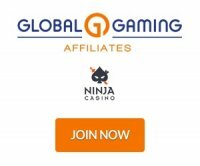 Their content is definitely worth sharing and it is easy to trust this site, and if you trust this site then you’ll trust their recommendations for where to gamble online. Your traffic is expected to be a mix of Canadians and Americans so focus on these groups and let them know which casinos would be best suited for them. So I like the idea of providing a gambling guide for the Niagara Falls region but I recommend the approach you take towards it is to focus more on the area, tourism, hotels, casinos and activities and leave the online gambling aspect to the side and either let your users decide to click on some links and banners or have an education section on gambling so you can make the conversion process a lot easier. I’m not much of a fan of domains that are separated by a lot of hyphens and are keyword1- keyword2-keyword3.com like this one. Since this domain is only 6 months old I would recommend considering a new domain that perhaps replaces the keyword ‘online’ with something like ‘guide’. There are plenty of these domains still available. If your domain was 2 years old and had already a lot of links established then I would recommend to not change a thing. My preference for a website design and style is one that has a white or light coloured background especially for websites that are aimed at providing information. Ones that focus on entertainment I expect something different like casinoniagara.com for example. Your current site has a black background and there are many books written about conversion that say sites like this are perceived as not as trustable. People are just used to black text on a white background especially for information. Just try imaging what bbc.co.uk, cnn.com or google.com would look like with black backgrounds with white text. This just isn’t as easy on the eyes. I think the design template is fine but I’d strongly recommend switching the text and background colours. Search traffic shouldn’t be your only source of traffic but it can be an important one. Your website could use a better structure and some important aspects of on page seo are not being followed which could make it difficult for your pages to be found in any search engine, especially google. That is mapping out the pages and structure of your site so it is well organized. This is a quick guide on SEO to explain all the things you should be following. The homepage title is just the domain and not a phrase. You don’t need your domain in all the pages titles. Most of them on the site are custom and good enough. Just looking at the URL structure of the site doesn’t look very clean and organized. It looks like a mistake to have the index.php inside this URL. Some of your casino reviews appear on multiple pages with the exact same text. Try to keep all pages free of duplicate content as much as possible. One more note on organization is to redirect your affiliate links. Imagine you have 50 affiliate links to one program spread throughout your website. If you have to update that link for any reason you now have to change this 50 times and track down all of those links. This isn’t fun and there is a better way of organizing your links which uses a 301 redirect. So now you just use your redirect link which could look something like this: http://niagara-casino-online/go/ castle-casino.php and you set that up to redirect towards your affiliate link. Now you just use your own link throughout your website and to update the link on any page, you only need to do this in one location. I would recommend going with a new domain to reflect that your website is a gambling guide and city guide for Niagara Falls, Canada. I would map out all of your pages and create a new URL structure so your pages are well organized and easy to follow. You can redirect your old URLs to the new one. I would focus the site at least 75% or more on the land based casinos, restaurants, hotels and activities first and keep the online gambling information secondary. I would also use a new template that that is brighter to have a feeling of trust with your users. You can use the Las Vegas city guides as models and remember that you need a lot more pages for users and google to take your site seriously. They asked for a critique and any suggestions but without seeing their analytics and knowing their affiliate income there isn’t much to dissect or correct. The design of the site is great. Their in page join form might irritate a few users but we know this affiliate does a lot of conversion testing and if it didn’t convert they wouldn’t have it there. Not many affiliate sites have a video on any part of the page and this helps keep users on the site longer, reduces the bounce rate and gives them a chance to convert. Overall the site is doing a lot right from an seo point of view. It has good links and quality content all around. Your excerpts are not custom and this makes the text on this page duplicate content. Your posts are well written but there seems to be no buttons for more social sharing of this type of content whether twitter, facebook or google+. More sharing of your content could lead to more traffic and possibly help your rankings. This site is lacking a lot of content both in terms of number of pages that exist as well as some pages that have very little text on it. The homepage has very little content on it and this should be one of the most important pages. Other pages I don’t think exist are reviews of the poker rooms. Not everyone wants to just click on an affiliate link and maybe they might want to read more on the poker room. Rakeback is a nice bonus for players but you could answer more questions players would have by providing a comprehensive review. Your review could answer questions like which languages are supported, can I play on my mac computer, can I deposit with credit cards, how many players are on the network? Your homepage has a chance to get search traffic for rakeback, rakeback news and poker rakeback. If you had a review of Cake Poker maybe that page could rank for Cake Poker review or Cake poker rakeback! Another way to get the site more updated with content is to have more poker related news on the site. Your site is called RakeNews so I’d expect to see something related to poker, news and rakeback bonuses. On the homepage there is less about news and more banners to click on which isn’t the best for conversion and is certainly not helping from an SEO point of view.